derbypain wrote: Curious.. Does anyone have a calculation of how much wheel height increases for each degree of angle of axle bend assuming negative camber. Just looking that if we were to put a 3 or 8 degree bend on a wheel and the wheel across I want very little if any camber what height difference could I drill the hole and still keep 4 wheels on the ground. Should be able to calc using triangle angles, base lengths, sine/cosine but did not know if someone had already created. Thanks for any response. Thanks Whoda... Great find on a solid thread. I was getting some similar type number ls but was questioning if I was getting them right. Thanks. 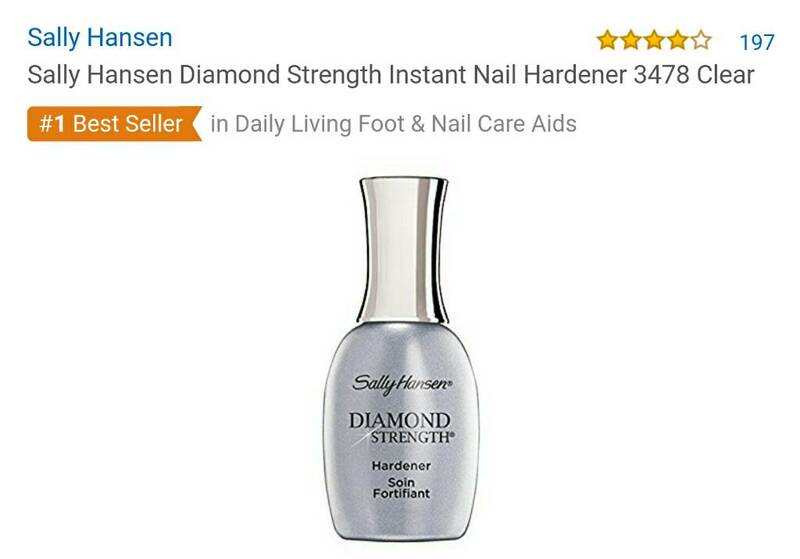 Appreciate the info on the nail Polish as well. davet wrote: I forgot to add, when pushing wheel against body keep twisting the wheel back and forth. I assumed that is what you were implying but thanks for clarifying. whodathunkit wrote: You could coat that area in both ways.. by means of a hard shell nail polish or CA glue. Some builders let it dry and sand it smooth then coat with graphite.. and then some rub graphite into the glue or polish while its some what tacky also. If Your car is set up as a rail rider with canted back axles and the wheels drive out to the axle heads is this treatment needed for the back wheels? for the DFW id say yes because that wheel hub will rub on the car body . However every little bit you can do in those areas help and you never know when something might happen and when they might rub at some point. 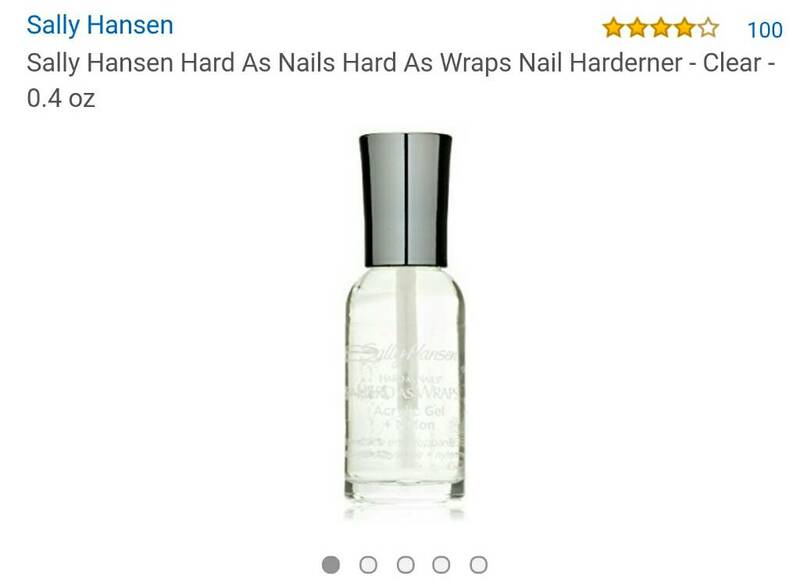 The Sally Hanson.. advanced hard as nails brand polish in a clear is about the hardest hard shell nail polish that I can think of in the nail polish lines. I'm not sure how hard the ca glues will get when its cured out .. if it's better then a hard shell nail polish or not! And then Some builders just don't paint that area but rub graphite into the wood .. and then some will paint & shoot a clear lacquer in those areas as well when dry rub graphite in . For the oil lubes what ever you can do to harden those's areas up with out a graphite rub and oil mix gumming things up your better off. As far as davet's way like he said.. old wheels are best used .. do not use your good wheels there is to much of a chance to miss up the wheels. Which would you go with from Sally Hanson (or different if neither)? What grit of paper do you use to sand the nail polish? I assume you don't want to get back down to wood again so apply fairly thick and sand smooth. Might give the first one a go! Both are hard shell polishes. Place multiple coats of nail polish . I polish it smooth with some polishing compound! Then rub extra fine graphite on it. Grits 2000 -8000 I'd say for the oil lubes as well. A few yrs ago I went online and found Sally Hansen's Teflon Tuff which was supposed to be the most recommended by racers. There was much talk of what was going to replace it as it was no longer on the local shelves. I drilled 3 holes in a block of wood and coated around each hole with 2 coats of a different polish. One was the Teflon Tuff, another was TopCoat from OPI ( my wife had on the shelf) with a black top and I can't remember the 3rd brand. I waited 2 days for it get good and hard then sanded them incrementally down to 3,000 grit and polished. I inserted an axle and a wheel with polished rear hub face into one hole and spun the wheel with the wheel facing up and the hub against the nail polish. I spun the wheel a certain amount of times with what I thought was the same amount of force each time. I then took the wheel/axle out and put in the next hole and repeated. After all 3 were done I checked the wear mark in the polish and found the Top Coat from OPI had a noticeably smaller scar than the other two brands. The Top Coat also gave me longer spin times during the test also. We were using oil so the spin time was only slightly longer but it was longer every spin. That coincided with the smaller wear scar. The expensive Teflon Tuff went to my wife's shelf and the Top Coat went into the toolbox. Tip: My wife keeps her polish in the fridge. Don't put it on the car until the polish has warmed to room temp or else it won't lay smooth when putting it on and you'll need more coats because you'll need to do more sanding to get it smooth. I couldn't find Sally Hansen Teflon Tuff, so I went with CA glue. Just smeared out a few coats using a toothpick. If some gets into the axle hole, it's not a big deal. You can just twist it out with the tip of the drill bit you used to make the hole. I smoothed it out with 1000 grit sandpaper, and then I applied a coat of the same wax I use in the bores. davet you say your wife stores her polish in the refrigerator! the discoloration that happens as it gets older.. Reduces solvent evaporation & pigment caking and settling! And keep you from spilling it while it's cold. But what happens when you store flammable liquid in a box with and electrical light source that could throw a spark and if the bottles are not sealed good?... uh Kaboom? Though it may last longer in the refrigerator.. It's probably safer to keep it in a cool,dry place. Away from sunlight and potential sparks. Last edited by whodathunkit on Wed Mar 22, 2017 6:50 am, edited 3 times in total. whodathunkit wrote: Vk, you say your wife stores her polish in the refrigerator! But what happens when you store flammable liquid in a box with and electrical light source that could throw a spark?? Hope your bottles are sealed good! Hah, I think you mean davet's wife. My wife is incredibly sensitive to chemical odors, so she stays far away from nail polish. Yeah I did mean davet..
Don't know why I typed you instead sorry VK! But stay safe guys.. And tell your wife's that keeping nail polish in a running fridge is not a good idea anyway! That explains the bright flash when I opened the door once last year. I thought it was the day old burritos. Use it put it back in.. It makes no difference to the polish's shelf life! How ever mold is not a normal nail pathogen.. It very rarely can happen! It will appear brown or black,not green. Not picking on you davet..
Just saying what could happen so stay safe! OK Whoda. You got me thinking. What can really happen with 20 bottles of polish in the fridge? If it's something I need be serious about I'll get on her about it. Besides, how can I pay for a new scrollsaw when I'm buying a new fridge due to nail polish damage. Hey, maybe I'll start putting my hacksaw blades and drill bits on the same shelf in the fridge and tell her it keeps them from warping. When she wants me to remove them I'll tell her I'll do it after she removes the polish. I may even tell her Whoda told me it was unsafe. Davet you have been the most detailed to this point but anyone comment. 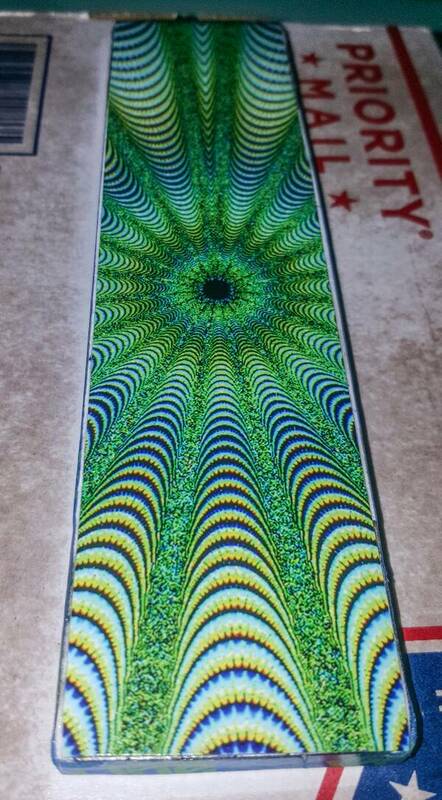 When you are adding the photo paper top and you are bending it around the front of the car what are you doing to make it a clean bend around and fold under the front of the car. We were looking to have it overlap the front by 1/4". If you don't overlap how do you make sure it won't lift off the body or the seam create an wind resistance issue. Thanks to anyone with insight on this. Been to Michael's, Lowes and Home Depot and no one had 60 minute epoxy. Having a time sourcing it but I will find it for the photo paper install. We use Loc-Tite 60 minute from Menards. They have the 5-Minute Loc-Tite also which we use for the weights. We did not wrap it down and under in the front. We didn't want the paper cover to be what was going to be bumped and get damaged. We brought it to about 1/64" from the front edge and put a couple swipes of thin CA glue on the front edge as a "bumper" of sorts. Keep your cover about 1/4" longer and wider than the body when applying it. This way the excess glue has somewhere to go and not get out onto the surface. When applying the cover, once the main, top portion was pressed down tight and all excess squeezed out we would keep pressure on it with a few books for a couple minutes. We had the block on a thick towel when we did this. This kept even pressure on the surface and didn't mar the surface. Drag that excess glue off the sides with a flat screwdriver to make cutting the excess paper off easier when its all dry. Very important to get that excess off now if you plan to wrap the sides over in a couple days once the top is dry. Then we grabbed it by the sides and lifted the rear so the front rounded portion would get pressed down. We would keep pressure on with our hand and pressing that front, sloped portion down into the towel until it was tight and excess was out. Sometimes we would get the very front edge lifting up as it dried so we would keep pressing it down with a rag and swiping downward off the nose. Now is when you would put that thin layer of CA glue on the front. If the front edge is not down tight then we used a toothpick to apply glue under it and were able to get that front lip pressed down. Color it with a marker to match the pic. We didn't do this but you could always sand a slight recess in the body surface at the nose for the front edge of the cover to lay into. Be careful when handling it because you will certainly get glue on your hands. One accidental touch on the surface and it could be bad. If we did get a slight scuff of glue on the surface we just clear coated over it when it was dry. If you try to fix it or take it off you will ruin the print, trust me. If you do ruin the print a belt sander takes it off or just lay it flat on coarse sandpaper and take it off once the glue dries. The epoxy won't sand off because it's harder than the wood. The second cover with the second layer of epoxy will make the car noticeably stiffer. Once it was cured in a couple days we would cut the excess paper off with an Exacto knife and clearcoat it with glossy Rust-o-leum from Menards. Once it's clearcoated you'll be able to handle it like normal and not smudge the print. A good car wax will make it really shine and fingerprints will wipe away easily. To set the car apart even further from the group, polish the entire front face of the wheel with your Novus II then your wheel bore polish. We didn't see anyone else do this and the wheels really shine. Use an old, soft toothbrush to get excess wax out of the spokes once dry. To wax the wheels just spread a very thin layer of polish on the rag and start by polishing the tread surface. Now that the rag has that polish on it use it now for the spokes. You won't get a ton of wax caked in the spokes that way. If you do plan on wrapping it over the sides, pre-bend the sides before gluing it on the top surface. This will keep the sides down and won't be pulling up when you glue those down. Post some pics when you get her done. We aren't done yet but here is a shot of the top with the photo in place... My son just applied the crystal clear enamel coat to the top. He did a preliminary test of the axles we bent and all is looking good so far for a four wheel rail rider. Weight on the front wheels came out to 0.695 ounces and Cent of gravity is showing as 11/16" in front of rear wheels. In the test the DFW had .59 ounces of weight and the ndfw had .10. We are running a 5 inch wheelbase. I will keep you guys posted. Each step we finish his excitement and nervousness grow.